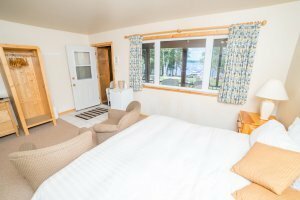 Voted the number one hotel in Muskoka by Trip Advisor, Shamrock Lodge sits on the pristine shoreline of Lake Rosseau. 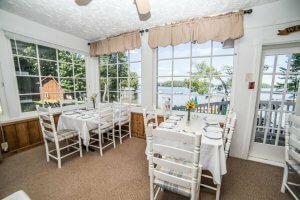 Run by the Bryant family for the past 38 years, Shamrock is known for its unrivaled personal service and the warm, engaging feel of its cottage-style atmosphere. 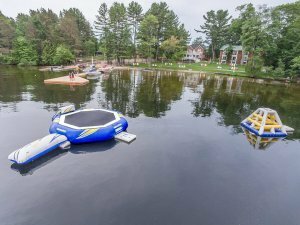 Our all-inclusive summer packages include 3 meals daily, supervised children’s programming and use of our facilities including canoes, kayaks, pedalboats, stand-up paddleboards (SUPs), scenic pontoon boat cruises and a heated indoor pool, hot tub and sauna. In the spring and the fall, Shamrock becomes host to weddings, corporate meetings & retreats and special events. The ability to take exclusive use of the property for these functions truly sets us apart from the larger hotels and allows us to work closely with each function to anticipate your needs. We are two hours North of Toronto and worth every minute of the drive.